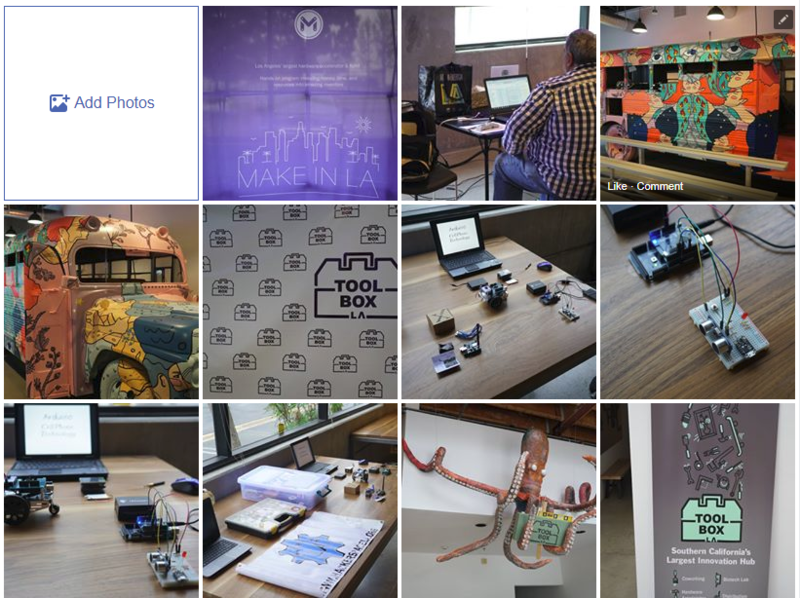 Come celebrate Arduino Day with Hackerspace Los Angeles. We invite you to join us in celebrating Arduino Day on Saturday, May 12! Learn about more and tinker with the Arduino micro-controllers and learn about building all types of devices with it. Bring your own laptop, Arduino, and breadboard. This is for anyone, at any level, to come and have some fun tinkering, learning, and showing off your own projects. 10:00 – 10:30 – Meet and Greet. 10:30 – 11:00 – Welcome and introductions. 11:30 – 12:30 – Demos. 12:30 – 13:30 – Show and Tell. 13:30 – 16:00 – Learn and play with Arduino.